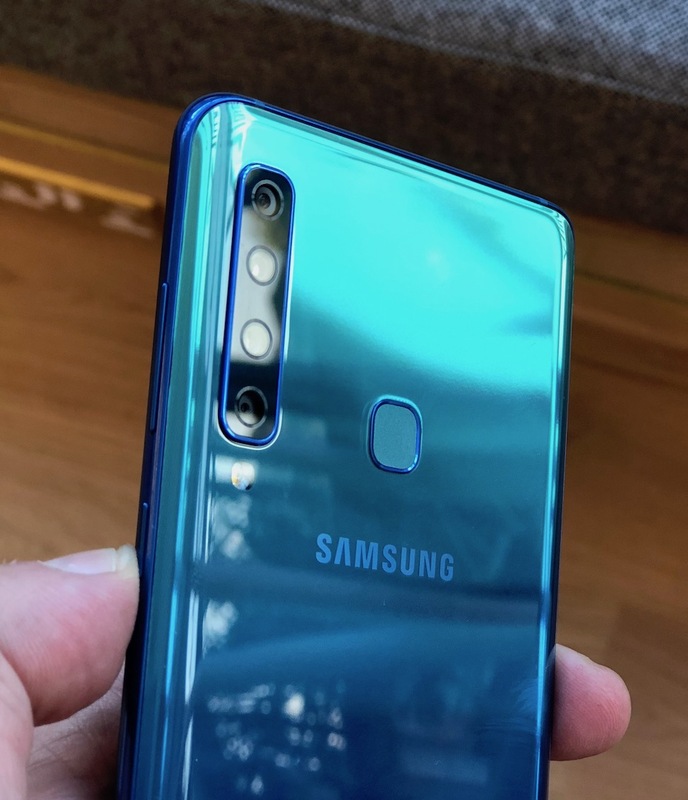 Hands On Samsung has launched the Galaxy A9 – its most comprehensive offensive against the twin threats of SIM-only subscribers and Chinese giant Huawei. The fightback involves a stronger mid-range, trade-ins, and promises better turnaround for faults and repairs. 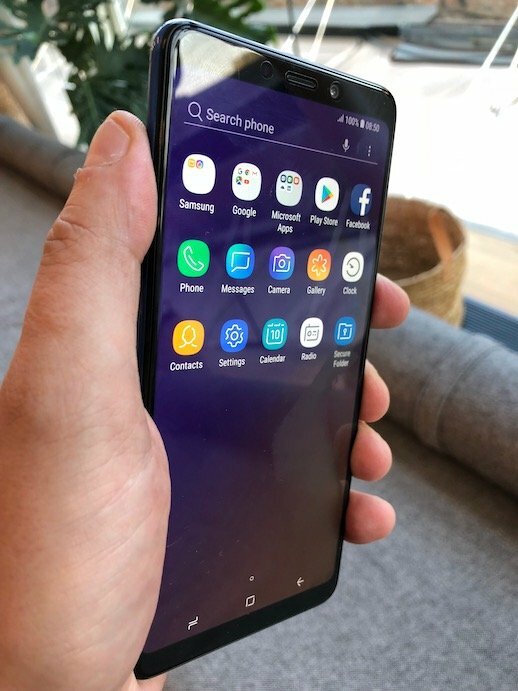 Mid-range smartphone sales grew 46 per cent in the UK last year, to 21 per cent of the market, as shoppers grew increasingly choosy, Samsung's UK director of product, services and commercial strategy Kate Beaumont told us. Rival Huawei effectively lets two divisions compete against each other, using common parts and the advantage of scale. Samsung is doing the same. 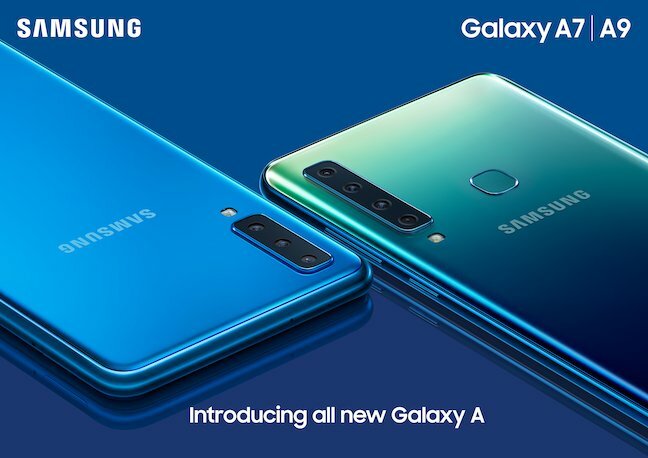 Its mid-range Galaxy A9, announced today, will cost £549 in Blighty, near the same price as last year's flagship Galaxy S8, which Samsung will continue to sell and support (it's around £599 before deals). The Galaxy A9 [specifications] attempts to bring some sizzle to a price point abandoned by many OEMs as they costed their flagships higher. It's a strong package: the first quad-camera phone (24MP + 2x 10MP telephoto + 8MP ultra wide and a 5MP depth sensor), 128GB/6GB, and a a 6.3-inch 1080 x 2220 display. The non-removable battery is stronger than the comparable S9, too, at 3,800mAh. It takes microSD memory cards and supports Samsung Pay. 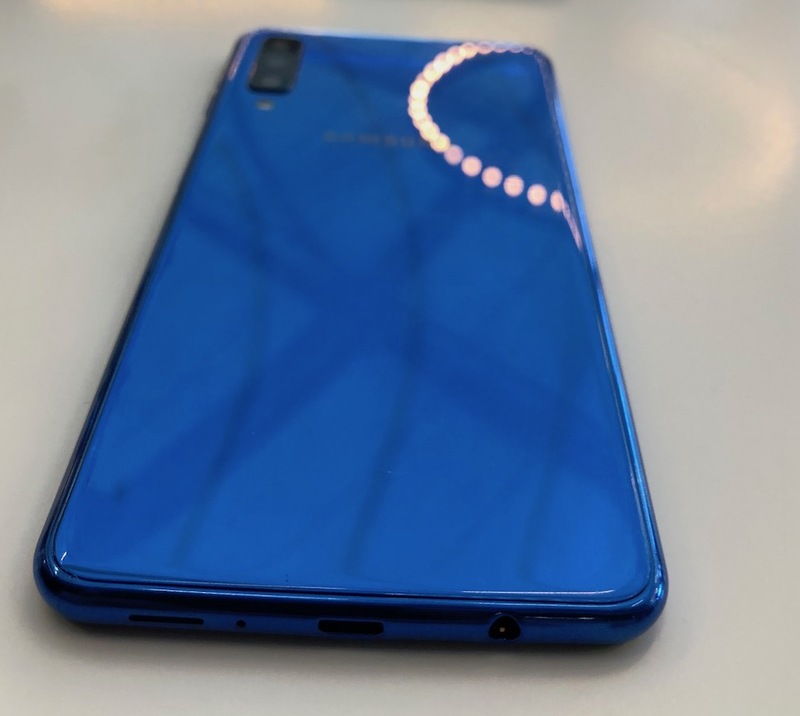 The two-tone colour choice is strongly reminiscent of Huawei/Honor "Twilight" models too. The back has a subtle texture making it a little less slippy. It resembles a S9+, and doesn't look or feel cheap, I found in a preview ahead of today's launch. The phone is about the same weight – but knowing the S9+ well, I much preferred the sensor placement on the new A9. It's easier to reach, and isn't piled up next to the camera sensors, which should stay cleaner for longer as a result. Users can easily activate the wide-angle view of a scene via an on-screen icon. Zooming in is trickier and requires sliding the shutter button, which is slightly counter-intuitive and hard to do precisely. I found it goes up to 8x, but lossless up to 2x. I did find the colour reproduction through the viewfinder varied enormously, veering from green to brown in well-lit indoor spaces, but this is pre-production software. The depth lens allows you to adjust the bokeh effect or blur after taking the photo. Overall it looks and feels as it should at that price point. And there's no Notch. Samsung teased Google's gigantic cutout by suggesting "You could land a plane on it." Two big features differentiate the much more expensive S9: waterproofing and wireless charging. But both feature on last year's S8. And now I mention it, the S7 too. And gamers should stick to the S series too. Surprisingly, the A9 uses Qualcomm's eight-core Snapdragon 660 processor. This isn't an unpleasant surprise – combined with plenty of RAM there shouldn't be any lag, as that's what I found with the BlackBerry KEY2, which has the same 660/6GB combination. Samsung had already fleshed out its late-2018 midrange ahead of today's splash. This is also aggressive where previous year's ranges have been perfunctory. The A7 has a striking 1080x2220 6-inch display and comes in 4GB/64GB or 6GB/128GB versions. Further down the scale the Galaxy J6 packs in a lower resolution but still excellent display, yet dispenses with the traditional microSD card slot for £199 SIM-free.